Scrim cracks in ceiling before skimming? We have recently stripped the wallpaper off our lounge ceiling, and whilst the plaster is not loose it does have hairline cracks in it. Should i be putting scrim tape over these cracks before skimming? Yes, you should definately put scrim on all cracks before skimming and put screws along each side of the cracks into the joists above as the cracks will most probably be caused by movement in the boards from movement in the bedroom above however this will not definately stop them from coming back again if the problem is the floor joists moving to much, the only way to guarantee the cracks wont come back is to under draw the ceiling, re-board and then skim but this can be quite time consuming and expensive so I would go with just scrimming and screwing the cracks first as it might be affective. Hope this has been of some help. Kind regards, Jim Ormerod. Yes,scrim tape over cracks before re-skimming although that's no guarantee that cracks won't re-appear but if they do they can be filled anyway. It wouldn't hurt to add some more screws along joints first as well. Hello, i suppose you could but i wouldnt, best to cut the cracks out in a v shape useing puty knife or filler knife, give them a good coat of unibond, then skim ceiling useing two coats skiming lay on first coat tidy as poss then close in with top coat, hope some help. Scrim over the joints will be sufficient to stregthen the cracked areas and then skimmed over. You need to put the scrim over the cracks just before it is skimmed this will help stop the cracks reappearing. 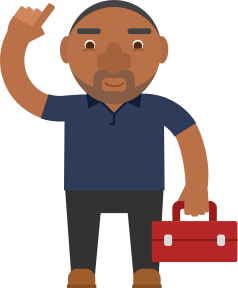 Post a job on MyBuilder to find quality, local Plasterers who can help you with your project. Does painting and decoration include filling cracks and holes in ceiling? What's the best way of getting rid of ceiling cracks?